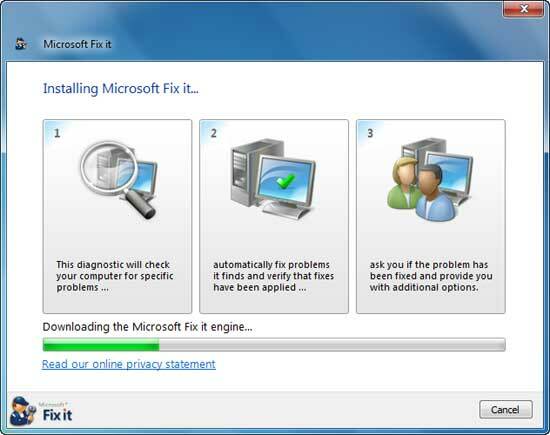 Microsoft Fixit is a simple to use one-click solution that helps users fix common problems of their Windows PC. It automatically diagnoses and repair issues with few clicks. 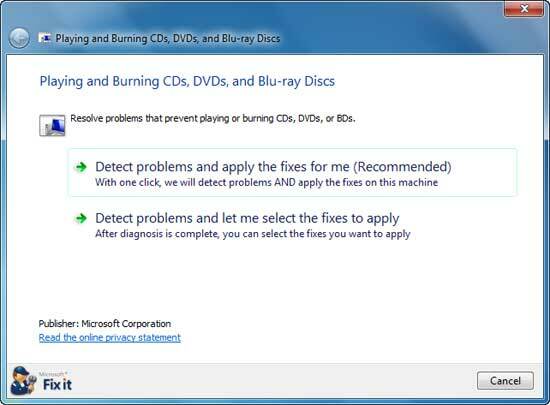 Microsoft just released a new Fixit solution to fix read/ write problem of CD/DVD drive in Windows 7. 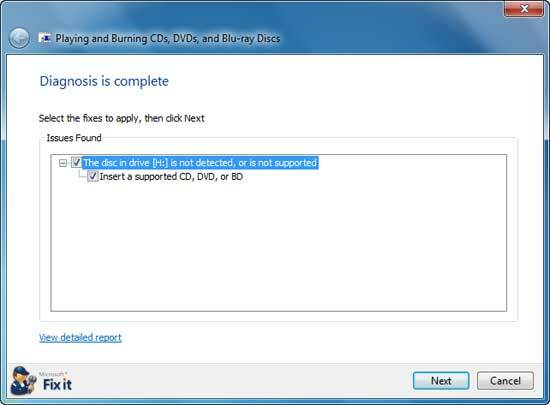 This Fixit automatically diagnose and repair problems such as a CD/ DVD drive cannot be found or is not connected, the CD/DVD drive is experiencing a problem that prevents it from working properly, the CD/ DVD drive is not accessible via an assigned drive letter, etc. If you find any such issue, just download and run this Microsoft Fixit to solve the issues.